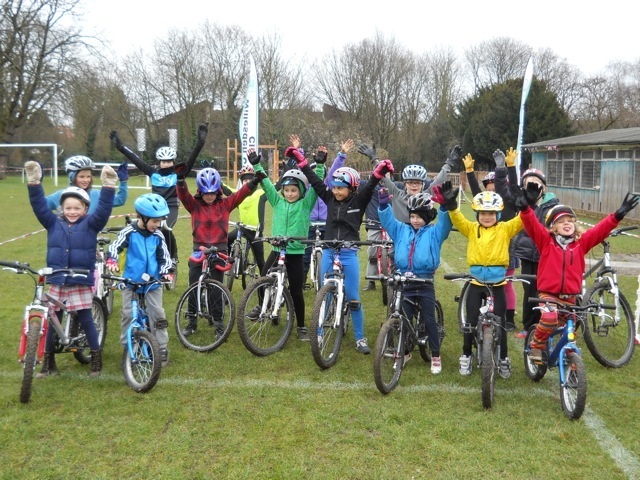 Sunday 10 March marked Mothering Sunday and the final event of the Willesden Cycling Club Go-Race Winter Cyclo-Cross series. 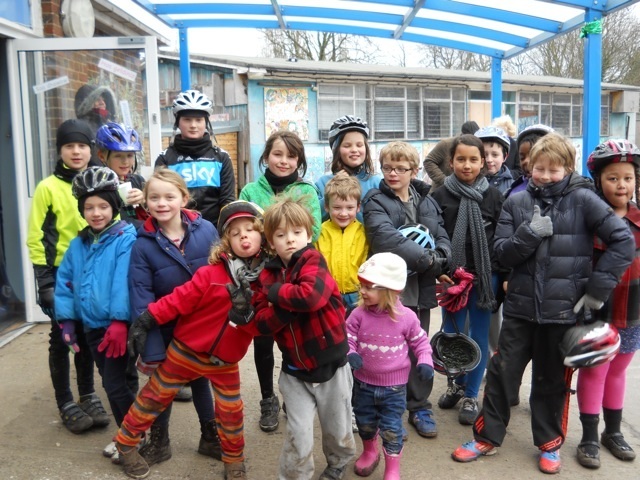 In total 16 Children braved the bitter cold to take part in the races. It was very much a family affair with the Macilwaine Parrys taking first place in each of the age categories. Maximus Macilwaine Parry was first in the under 12s. Teddy Stoddard 2nd and Joint 3rd were Rae Tarbox and Ennis Barnett. Laszlo Macilwaine Parry was first in the under 10s. Mabel Tarbox 2nd and Ella James 3rd. 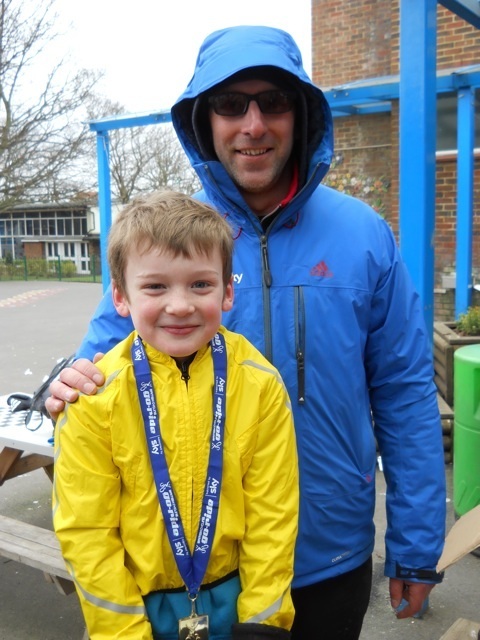 Emile Macilwaine Parry was first in the under 8s with Logan Burrows 2nd and Aubrey Henderson-Kirk 3rd. Well done to everyone who took part in the series and many thanks to those who gave up their time to help. Thanks also to Rob Mortlock the Regional British Cycling Coach for his help and support on the events. This entry was posted in Coaching, GO ride. Bookmark the permalink.